Investors are attracted to the mortgage REIT (mREIT) asset class because of the high dividend yields; however, these high yields need to be weighed vs. potential losses in book value which can play havoc with total shareholder returns. Anworth Mortgage Asset Corporation (NYSE: ANH) $524 million cap, 12 percent yield. Ellington Residential Mortgage REIT (NYSE: EARN) $134 million cap, 15 percent yield. 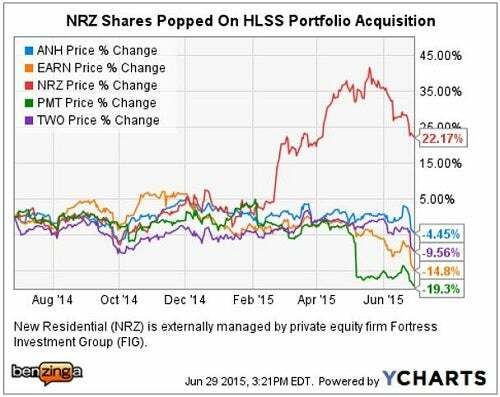 New Residential Investment Corp (NYSE: NRZ) $3.6 billion cap, 11.6 percent yield. PennyMac Mortgage Investment Trust (NYSE: PMT) $1.34 billion cap, 13.6 percent yield. Two Harbors Investment Corp (NYSE: TWO) $3.6 billion cap, 10.5 percent yield. The chart above illustrates how share price declines can mitigate, or even overshadow, the dividend yields when calculating the total annual return on an mREIT investment. New Residential pursues a different business model which is focused on mortgage servicing rights (MSRs), rather than owning a leveraged portfolio of mortgages and related securities. 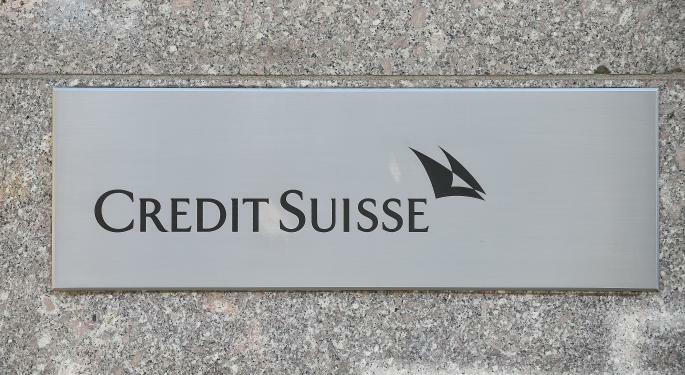 Overall, Credit Suisse views this sector as having a positive risk/reward profile, pointing out that mREITs are trading at an average discount to book value per share (BVPS) of 19.6 percent. Harter made the point that operating in a rising rate environment, (both short-term and long-term), has resulted in the discounted valuations. Notably, Anworth Mortgage and Ellington Residential are trading at discounts to BVPS of 22.8 percent and 13.3 percent, respectively. 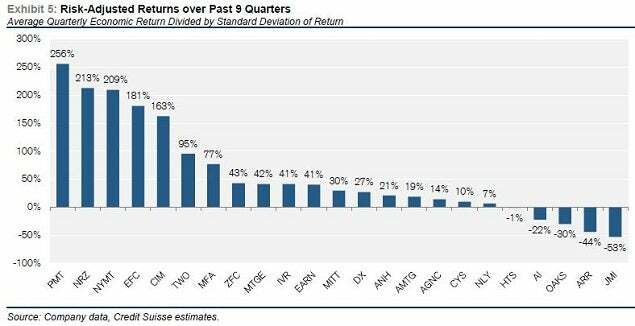 Harter's favorite mREIT metric "is the average quarterly economic return divided by the volatility of that return." Credit Suisse noted, "The volatility in the markets has been displayed through considerable swings in both interest rates and Agency MBS spreads." "In this type of environment, mREITs with more effective risk management strategies will be better equipped to navigate through the volatility and produce better economic returns," according to Harter. Based upon this performance measure, PennyMac and New Residential rank first and second, with Two Harbors ranked fifth; while Anworth and Ellington are in the middle of the pack. "We continue to favor the mREITs that are creating operating businesses and can create their investments." While the New Residential MSR-focused business model certainly fits this description, companies involved in mortgage servicing -- especially non-performing loans (NPLs) -- have been under tremendous regulatory scrutiny. 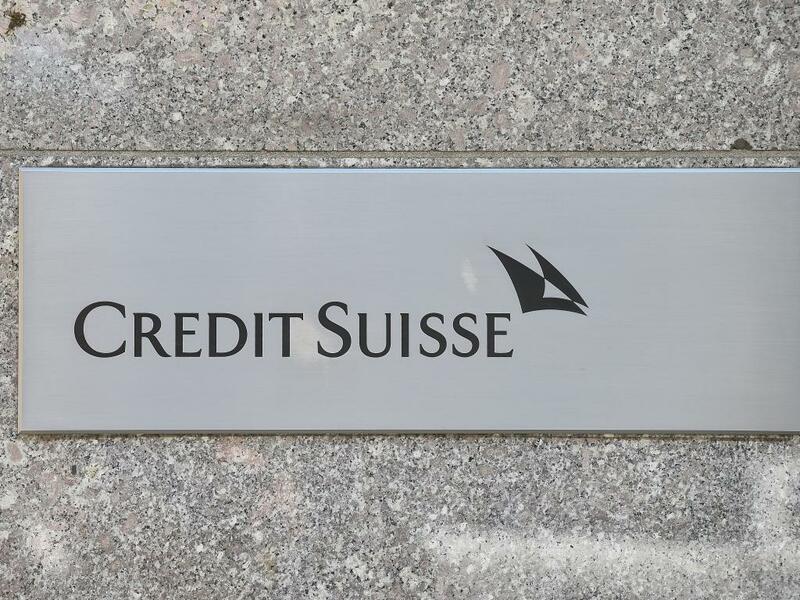 A prime example of these risks, would be the Ocwen/Altisource family of companies, which have lost 70 to 80 percent of their values as a result of mortgage servicing business practices found to be in violation after state and federal regulatory investigations. Notably, HLSS was part of the Ocwen family of companies, and this regulatory upheaval is what created the NRZ buying opportunity for these valuable MSR assets.